This lamp-free Ultra Short Throw not only got the nod as an ISTE Best of Show winner, but earned a spot on the official TCO Certification list. A built-in speaker offers convenience and 3500 Lumens of clear, bright picture is not affected by classrooms with ambient light. Its generous set of connections and wifi capabilities ease the way for collaboration and a variety of media uses. Collaborate and share lessons while turning any surface into an interactive area with this TCO Certified projector, featuring finger touch and PC-free annotation. 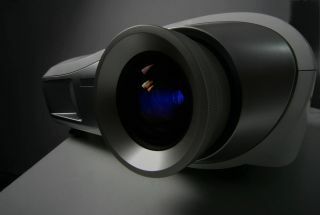 Able to project a large screen of 100 inches at a distance of only 77.6 cm, this tech ensures shadows do not easily form even when someone stands in front of the projector. Ceiling or wall installation makes this a good option for classrooms or small meeting areas.